ParaClear Odorless Xylene Substitute | Polysciences, Inc.
Naphtha-petroleum derivative that replaces xylene for clearing. 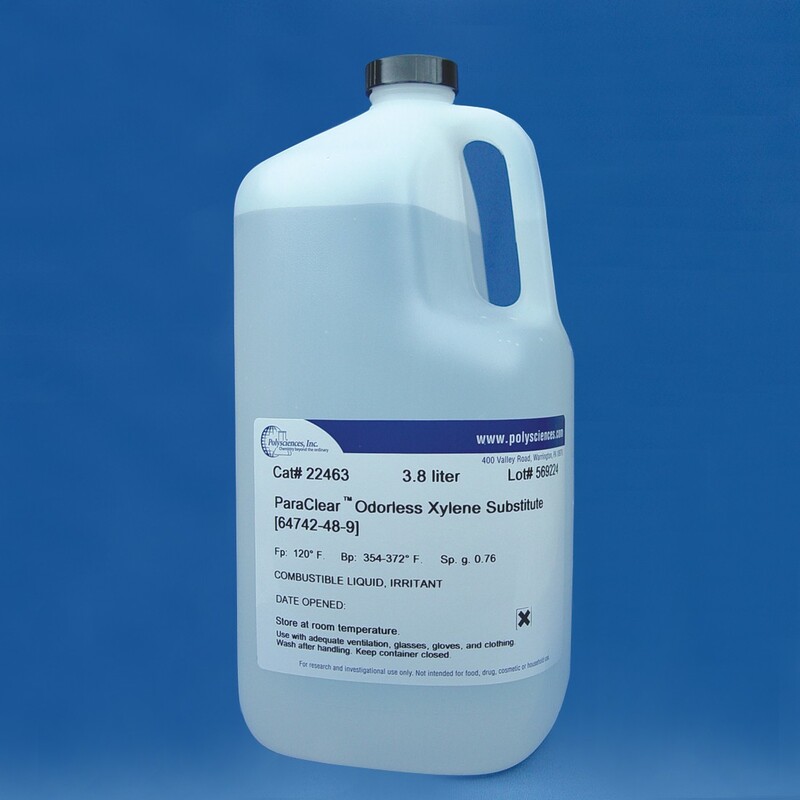 It is odorless and presents a low hazard for routine histological processing and staining. ParaClear will remove alcohol during the final steps of routine tissue processing and is miscible with paraffin for infiltration. It has a higher flash point than xylene, reducing the flammability danger to the laboratory.